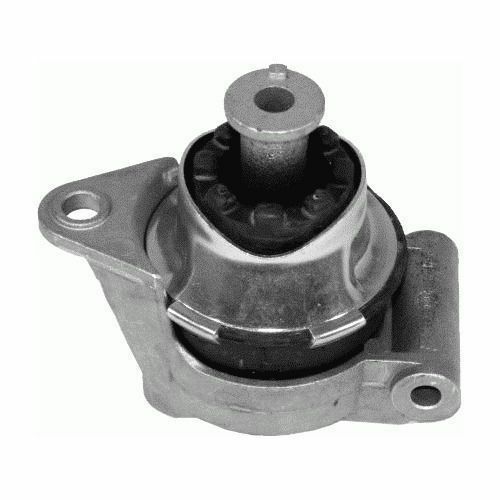 We are the leading and prominent Manufacturer and Supplier of Engine Mounting for Toyota. In international business, SAFETY INTERNATIONAL is counted amidst global leaders for reliable and excellent quality automotive steering, suspension parts, ball joints, suspension ball joint, automotive ball joints, automobile control arms, heavy duty ball joints, industrial ball joints, track control arms, front axle, drive shaft, idler arms, pitman armsetc. Conveniently located in the heart of India and organized to perfection, SAFETY INTERNATIONAL carries the largest and the most diversified product ranges of steering and suspension parts. The product portfolio contains simple to high end and complex auto components. SAFETY INTERNATIONAL is an ISO 9001:2000 certified company serving the automotive after market and OEMs. Over the years, the company has achieved voluminous growth to progressively become a prominent supplier of new generation automotive parts for Indian, European, North American and Japanese vehicles. Driven by futuristic vision, SAFETY INTERNATIONAL continues to invest in high-end technologies and compatible human resources to confront the future challenges. The organization is perfectly geared towards efficient day-to-day business management, from research and development, through production and testing, to stock-keeping, distribution and customer service. The market-savvy approach and customer-oriented quality care of the sheller departments is unique. The watchwords are - “understanding customer's needs and providing best engineering solutions”. The company has a pool of resources to extend Reverse Engineering services for specific product requirements. Serving the markets for over three decades, the company has built an enviable image through its untiring pursuance towards commitment fulfillment and hard work. For exactitude services, SAFETY INTERNATIONAL covers that extra mile and ensures customer delight. In-HOUSE R&D offers unprecedented flexibility in terms of customization and manufacture to order. Sales and R&D Work closely together to meet every requirement, quickly, economically and according to industry standards and safety regulations.